Jane Hendrix is a friend of the flowers. 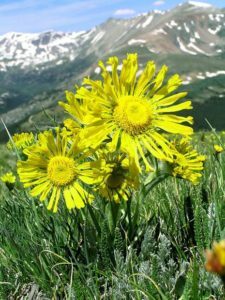 Her knowledge of plants in Summit County and beyond is extensive, and her commitment to the well-being of the wildflowers is one of true affection. 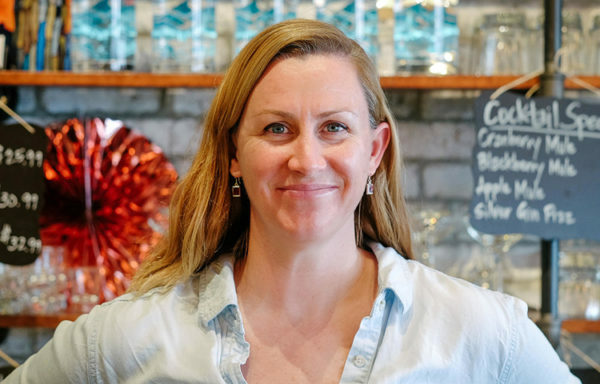 Hendrix founded Mountain View Experimental Gardens in 1995 at her home in Breckenridge to pursue her hobby more deeply and to provide something that she and the public could enjoy. With more than 1,000 species in the gardens (not all native), she has tested flowering plants to see what can grow with very little or no care up here in the mountains. The garden has become self-sustaining, with perennials that come back year after year. 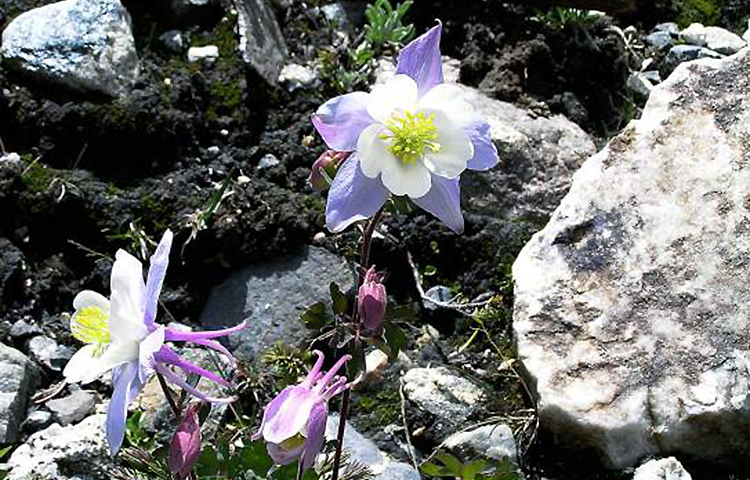 Colorado columbine (Aquilegia coerulea) — This is our official state flower. It has a three-parted, ferny leaf and stands between two and three feet in bloom. It likes to grow in fertile, slightly moist soil in semi-shaded areas such as aspen groves. It is found from the montane to the subalpine zone. Tall chiming bells (Mertensia ciliata) — This is a large, leafy plant, up to three feet tall, bearing clusters of pendant, sky-blue bells. Sometimes the bells are pink or pink and blue bicolored. Rarely, you may find a white-flowering plant. Tall chiming bells are very common in wetlands or along streams up to and including the subalpine zone. Subalpine larkspur (Delphinium barbeyi) — This large, stately plant produces lobed, maple-like leaves that resemble those of the garden delphinium. 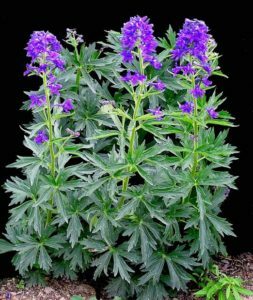 Subalpine larkspur may attain a height up to six feet tall, sporting spikes of small, dark-blue, spurred flowers held well above the foliage. It is a common species in high-altitude wetlands and moist meadows. 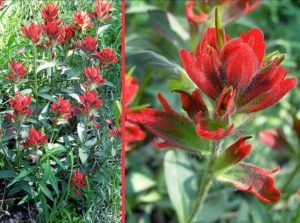 Indian paintbrush (Castilleja miniata) — Whether in forest or field, the bright red petal-like bracts (modified leaves) of Indian paintbrush always catch the eye of the hiker. 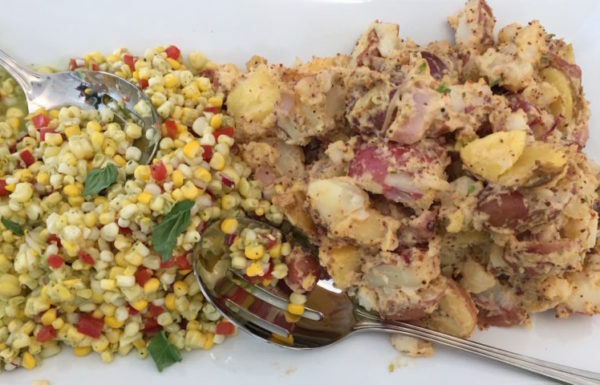 In our area, the plants are usually eight to 12 inches tall and, while intense, fire engine red is the usual color; pale red and even peach-colored plants may occasionally be discovered. 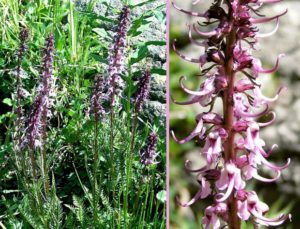 Elephant’s head (Pedicularis groenlandica) — Above a skirt of ferny leaves stand tall spikes of small, pink flowers that resemble elephant heads, complete with large ears and a trunk. Elephant’s head is between eight and 14 inches tall and is found in wetlands and along streams from the montane to the alpine zones. 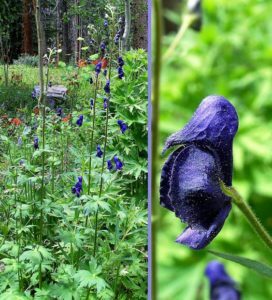 Monkshood (Aconitum columbianum) — The unusual monkshood flowers are dark purple (rarely, white). The top part is shaped like the hood of a monk and covers the bottom part. People delight in manipulating the little hood as the bees do. However, all parts of this plant are extremely poisonous, and some people will have an allergic reaction to contact with the flowers or leaves. Children should not handle this plant. It is found in wetlands and along streams from montane to alpine zones. Silvery lupine (Lupinus argenteus) — This native flowering plant is usually only 12 to 18 inches tall. Above its attractive, palmate leaves rise spikes of blue and white, pea-like flowers which later become seed pods that resemble garden peas. But don’t be tempted to nibble those pods or seeds. They are poisonous. 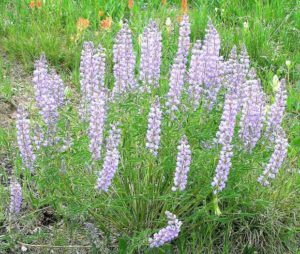 Silvery lupine can be found along roads, in open meadows and in lodgepole pine forests. It is most common in montane to lower subalpine zone. Old man of the mountain (Hymenoxys grandiflora) — Most alpine flowers hug the ground for warmth and to avoid being battered by high winds. But old man of the mountain isn’t afraid to stand tall on that treeless expanse and show off its large, joyful sunflowers that rise up to eight inches above its finely divided foliage. Its tall stature in a land of mats and buns gives old man of the mountain the appearance of a sentinel watching over its dwarfed neighbors. Purple fringe (Phacelia sericea) — Purple fringe has deeply lobed, grayish-green foliage that may cause dermatitis in some people upon handling the plant, especially the leaves. The large, showy flower spikes sport deep purple flowers with golden stamens protruding from each bloom. It can be as short as four inches in the alpine zone to 18 inches at lower elevations. Look for purple fringe in dry, sunny areas. Alpine forget-me-not (Eritrichium nanum) — Alpine forget-me-not is the quintessential alpine wildflower. 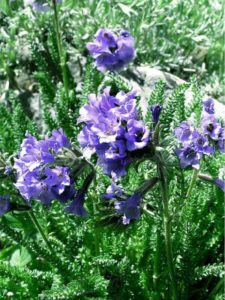 Its tight mat is only an inch high and, in late June to early July, it is smothered with intensely blue, five-petaled flowers with a white-ringed yellow eye. The flower color can vary from dark blue to white. 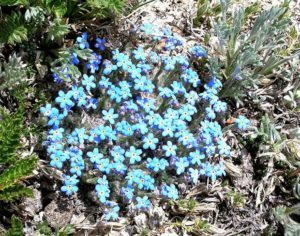 Look for alpine forget-me-not in dry, sunny alpine areas, especially on rocky slopes. Sky pilot (Polemonium viscosum) — Sky pilot is a close relative of garden Jacob’s ladder but they hardly look like “cousins.” Sky pilot’s foliage is made of tiny, crowded leaflets that give the plant a ferny look. The leaves have a skunky odor when handled or crushed underfoot. 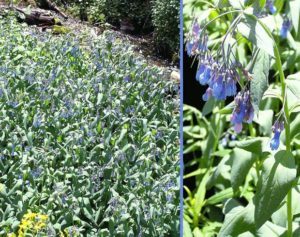 Clusters of large, pendant, dark-blue bells rise above the foliage, giving the plant a total height of six to 10 inches. Sky pilot likes dry, sunny meadows and rocky slopes in the alpine zone. Gaug shared another favorite: Lower Cataract lake outside of Heeney in the Eagle’s Nest Wilderness. 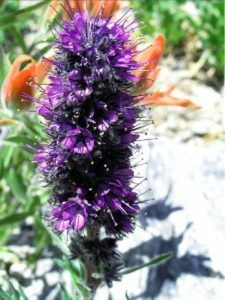 The first mile and a half of Acorn Creek, north of Silverthorne, has a variety of flowers, and Mohawk Lakes Trail near Breckenridge has some wonderful rock gardens of flowers once you reach the old mining cabins and beyond, Gaug said. She also recommended Wilder Gulch (just south of Shrine Ridge) and McCullough Gulch south of Breckenridge. You don’t always have to go very far to find the flowers. The easy-to-access dirt road on the Dillon Peninsula has a lot of wildflowers in the sagebrush meadows, according to Gaug, and Hendrix said most all of the hikes are great for enjoying the wildflowers. 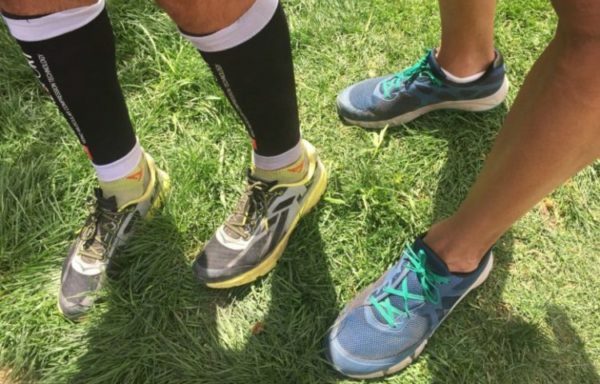 “You can even do a ‘hike’ along the highway and ‘bag’ several dozen blooming wildflower species,” Hendrix said. She recommended looking at individual trail descriptions from the White River National Forest in Summit County, at www.dillonrangerdistrict.com/summer_trail_list.htm. • Easy-going walkers will enjoy Cataract Lake, a two-mile loop around a mountain-framed lake fed by a scenic waterfall. 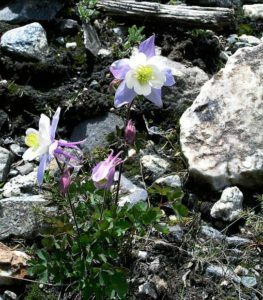 You can wade through columbine, the delicate blue-lavender Colorado state flower, which blooms late June and early July. Or later view a variety of blooms from purple larkspur in the meadows to arnica in the pine forest. Directions: Drive 16 miles north of Silverthorne on Highway 9. Turn left on the Heeney Road, and travel 5.3 miles to Colorado Route 1725. Turn left, and drive 2.3 miles to a fork past the campground. Go left and park. There’s a $5 use fee. See “The Summit Hiker” Trail No. 45. • For a medium challenge, hike Wilder Gulch, a flower valley off Vail Pass where Indian paintbrush colors the open meadows in hues as bright as the contents of a Crayola box. 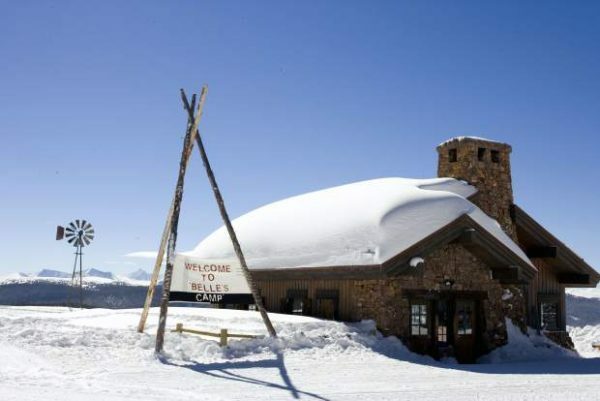 Directions: Drive to the Interstate 70 Vail Pass summit rest area, and pick up the trail at the east end of the parking lot. See “The Summit Hiker” Trail No. 22. 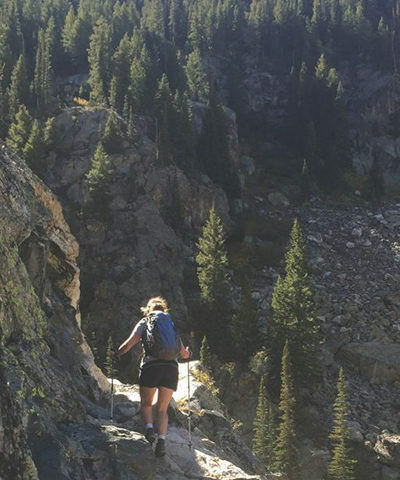 • Advanced hikers can explore historic Mayflower Gulch, where the flower season lasts a little longer. Visit here anytime, but early August is best for flowers. Meadows sprout ruins of gold rush cabins, as well as blue gentian, golden paintbrush and Colorado tansy aster. 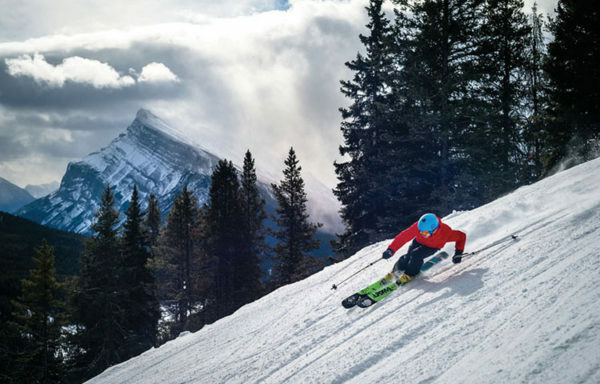 From the ghost town, return to the nearby fork in the road and climb Gold Hill, a 12,000-foot former gold rush mecca, where big views stretch to faraway peaks. 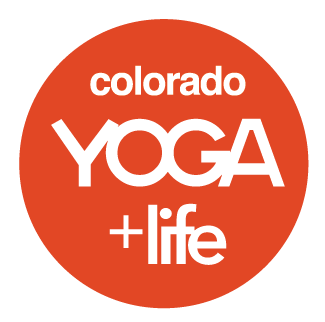 Directions: Drive Highway 91 south 6.2 miles past I-70 exit 195, and turn left to park. See “The Summit Hiker” Trail No 24.